Our state-of-the-art dispatch center is available to take request for service 24 hours a day. 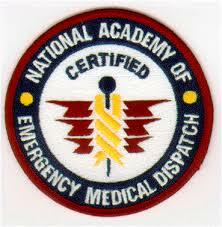 Dispatchers are certified from the National Academy of Emergency Medical Dispatch. Providing lifesaving emergency medical direction until first responders arrive. To assist in locating the emergency scenes and notifying the closest available ambulance. We utilize Global Positioning Systems (GPS). Allowing our dispatchers to see and track our entire fleet with a click of the mouse. Ambulances are strategically placed throughout our coverage area to cut response times. Our dispatch center also performs alarm monitoring services. We process calls for service daily handling police, fire, and medical alarms. We have an excellent service record. Our highly capable communications services, are available 24/7. To discover how to put our expertise to work for your business. Call our Corporate Offices today.